Cane furniture is making a huge comeback: we see more and more such furniture in the designers’ collections, and sometimes even screens. Such items bring a retro (70s!) and outdoorsy feel to the spaces while being warm and cozy as any woods. 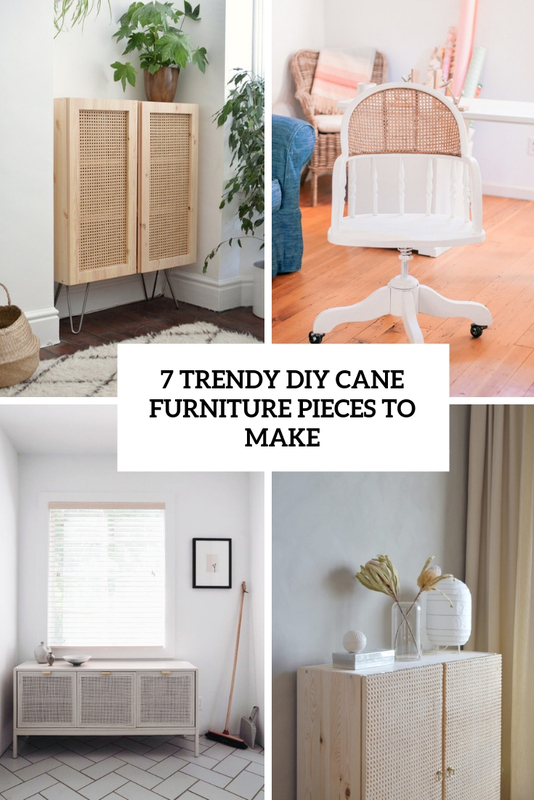 If you want to make some cane furniture and don’t know what to create or renovate, here are some easy ideas to use – you’ll find storage pieces, chairs and even a way to cane any furniture piece you like. Get inspired! Do we love cane furniture? Yes! The usual price tag though? Not so much. 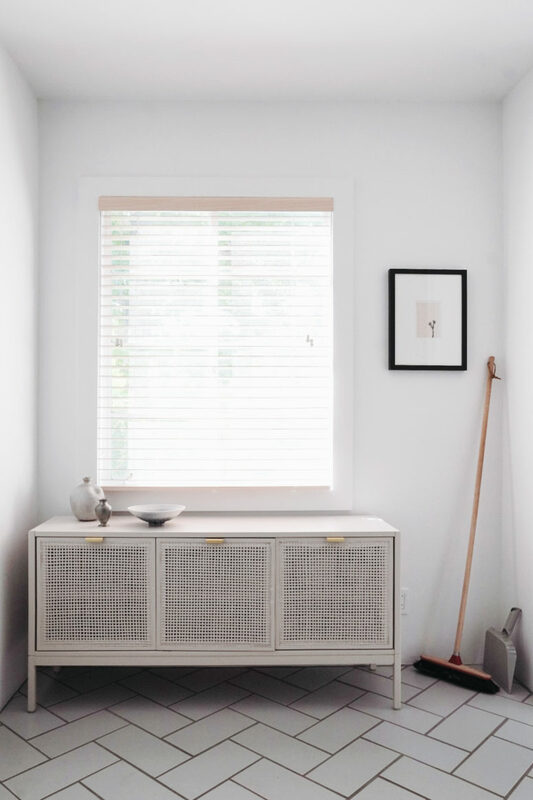 If you’re looking for a statement piece on a budget, this clever IKEA hack might be the solution – who doesn’t love IKEA hacks? The IKEA Ivar cabinet is so basic it’s pretty much the perfect candidate for a makeover. Throw in some cane and you’ve got yourself a cool piece of furniture that you don’t need to break the bank to own. Keep in mind that this DIY involves saws, drills, and other tools. If you don’t own them, we suggest that you talk to your local hardware store to see if they can cut your cabinets for you. Woven and cane furniture is having such a moment right now, and this piece makes it easy to see why! This stylish cane piece is an alternate storage solution for all the dishes and glassware for any kitchen – it requires just a little nook. You won’t have to spend a ton on the piece, it’s rather budget-friendly and cool. Paint it any color you like to match your space and enjoy that slight outdoorsy feel! IKEA hacks, anyone? 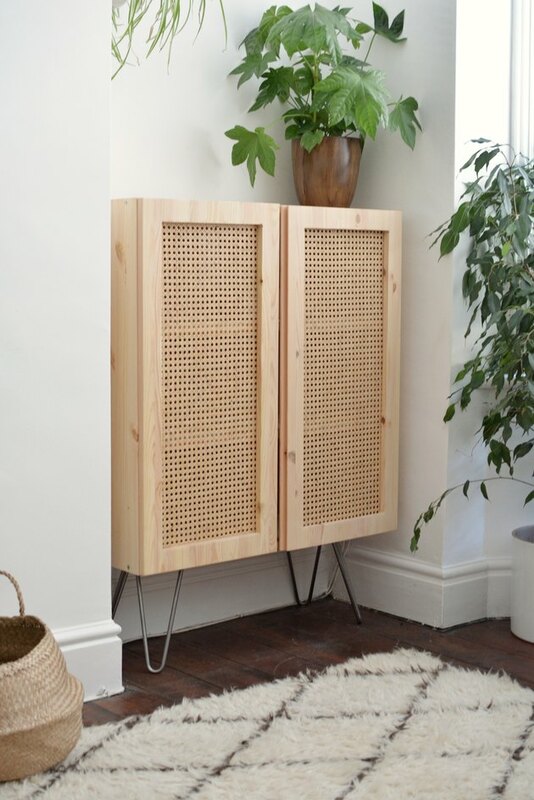 Here’s another IVAR cabinet hack inspired by the rattan cabinet from the IKEA Stockholm collection, and also by mid-century modern style. 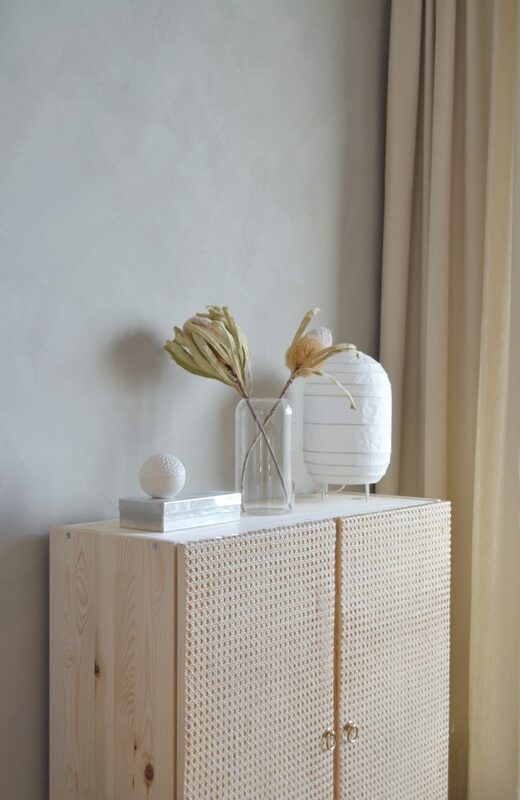 Rattan, wooden furniture, bamboo, warm notes and craftsmanship – so cool and so trendy for now! I totally love gold ring pulls that add more of that retro style, which is so hot right now. Here we have a cane furniture piece renovation – take an old item and refresh it for a cool and chic look. 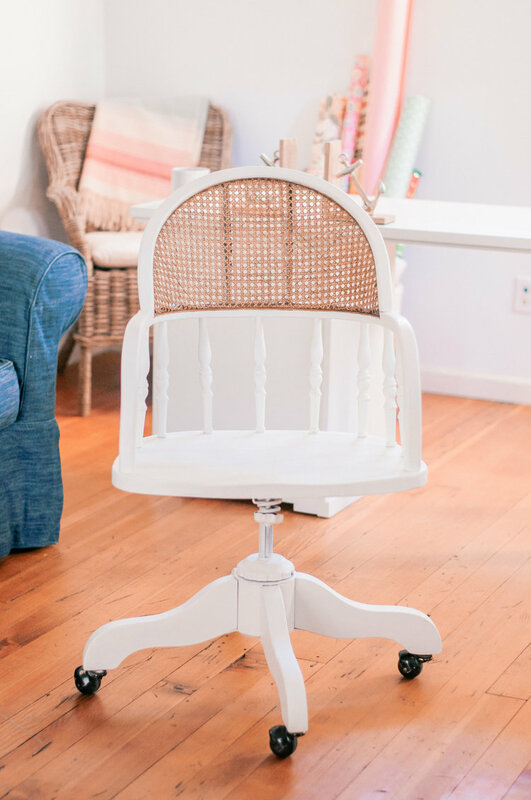 It’s painted white and refreshed with some additional details, and what I love is that cane is left in its original color to give the chair a more rustic and natural feel. It can be a dining or home office chair, it can be a fit for a bedroom or living room – add a trendy touch to your space with cane furniture items! Go for another cane furniture renovation! 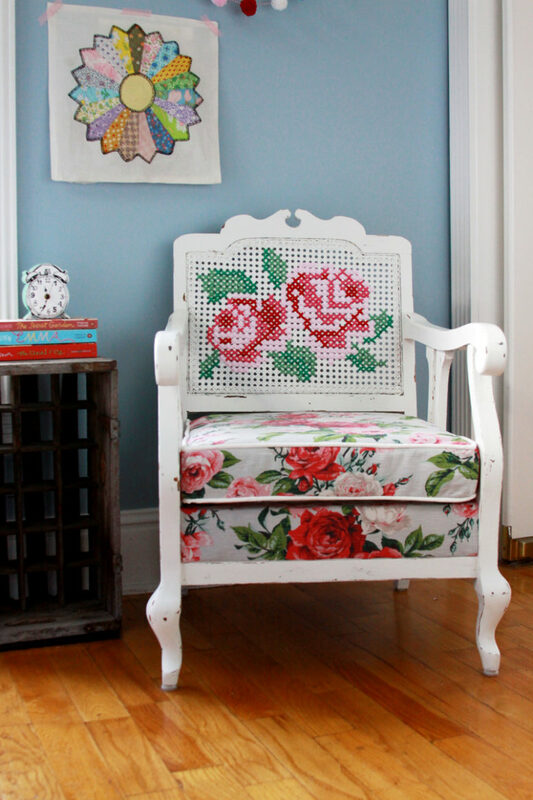 Here’s a vintage cane chair renovated into a bold chair with a strong vintage and shabby chic feel. There’s a bold floral cushion and an embroidered floral back that matches, and the whole piece is painted white. The look of the chair is pretty bold and cool – who could imagine that a cane chair can be transformed into something like that? 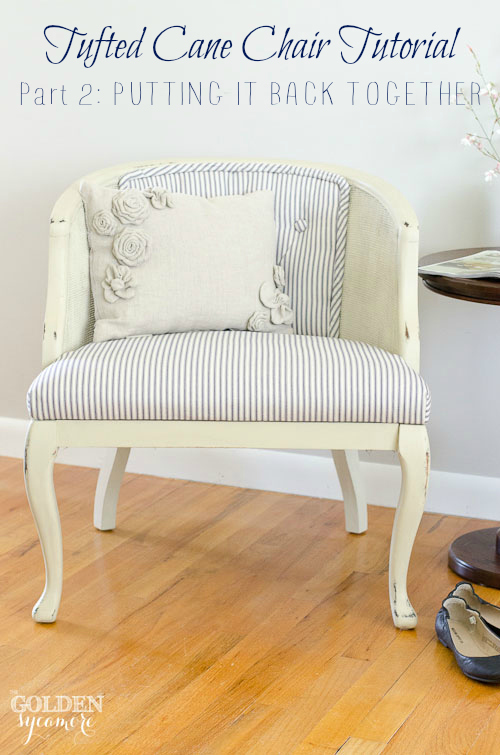 This cane chair is elegant and refined – it’s a white cane chair with renovated striped upholstery, and its original mid-century modern style turned into shabby chic and vintage style. Renovating it won’t take much time, and if the original upholstery is fine, you may leave it as it is. Read the tutorial and add a bit of vintage elegance to your space! The last but not least project is not an exact piece but a whole tutorial to cane furniture yourself. 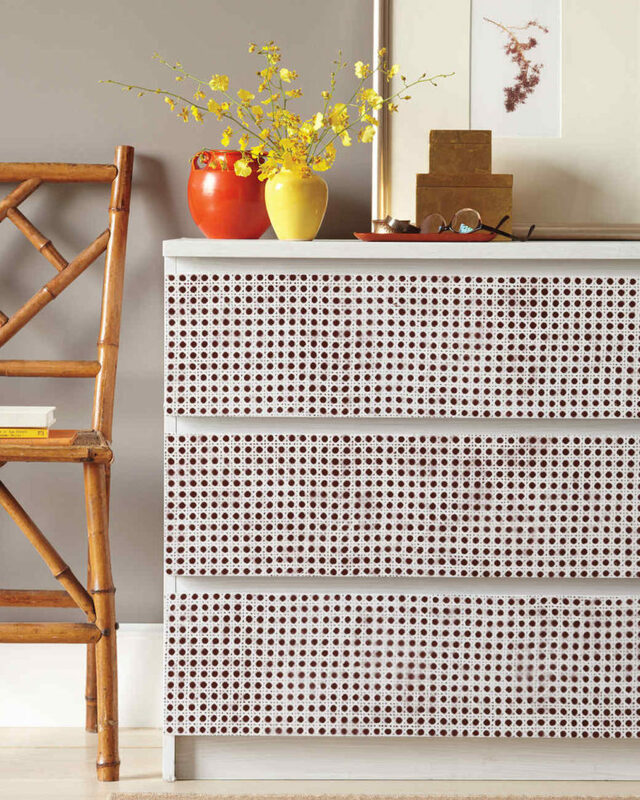 The easiest way to transfer the pattern to furniture, such as this dresser, is to use caning sheets as stencils. This is a fast and simple tutorial to give an edge to your space, enjoy!